The Galaxy S9 and Galaxy S9+, after months of hype, speculation, and various leaks, have finally been made official. As promised by Samsung’s teasers, the camera experience is the primary area of focus this time around. 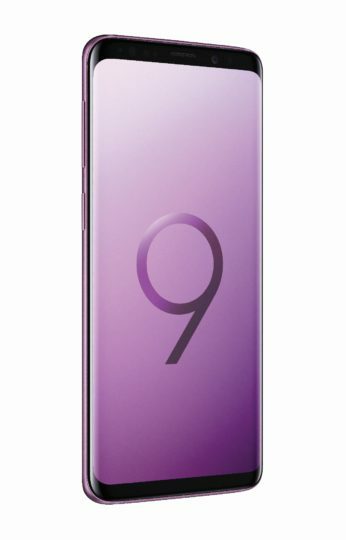 Only the Galaxy S9+ has a dual camera setup at the back, but features such as super slow-motion videos (at 960 frames per second) and a variable aperture are common to both handsets. The S9 and S9+ also bring stereo speakers to Samsung’s flagship lineup at last, while keeping features like the Infinity Display that made the Galaxy S8 and S8+ so special. The S9 and S9+ aren’t the first Samsung phones to feature what the company has dubbed Dual Aperture. It was introduced on the Samsung W2018 last year, but the global reach of the Galaxy S series gives the S9 and S9+ the distinction of bringing a smartphone camera with variable aperture to the masses. With Dual Aperture, the S9 and S9+’ rear camera can switch between F1.5 aperture and F2.4 aperture depending on the lighting conditions – the former is used in the dark, while the latter will be employed in extra bright shooting conditions. With a fixed aperture, the onus of making sure the lighting is just right falls to the camera algorithm, so Dual Aperture should technically allow for clearer and sharper pictures in all kinds of conditions. The 12-megapixel rear cameras can also shoot slow-motion videos at 960 frames per second; Samsung has also built in a special slow-mo recording mode that only records when something moves in the frame. Then there’s AR Emoji, which is a take on Apple’s Animoji feature that was introduced on the iPhone X. With AR Emoji, users can “create an emoji that looks, sounds and acts just like them.” There’s a slew of customization options, and emojis created using AR Emoji can be shared as standard GIF files through social messaging apps and other platforms. 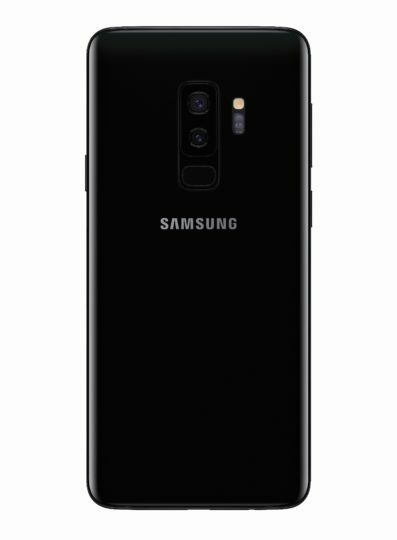 The Galaxy S9+, like the Galaxy Note 8, has a secondary telephoto lens at the back. It’s an F2.4 sensor that allows for 2x optical zoom and bokeh images through the Live Focus feature. Sitting next to the rear cameras is a heart rate sensor, which Samsung says has improved accuracy and can measure “real-time demand placed on your heart.” There’s no upgrade for the selfie camera, sadly. That means you get the same 8-megapixel (F1.7) front camera as the one seen on the Galaxy S8 and Galaxy Note 8, with software-based autofocus. The Galaxy S9 and Galaxy S9+ mark the debut of stereo speakers on Samsung’s flagship lineup. Thanks to Samsung’s acquisition of Harman, the stereo speakers are tuned by AKG and support Dolby Atmos for virtual 360-degree sound. The setup is similar to what we see on other phones these days: The primary speaker is located at the bottom (on the left of the USB Type-C port instead of the right) and the earpiece doubles up as the second speaker. The Infinity displays, meanwhile, remain unchanged, with a 5.8-inch and 6.2-inch display on the S9 and S9+ respectively. Powering those displays are the Exynos 9810 and Snapdragon 845 SoCs, both octa-core chips based on a 10 nm process. The Galaxy S9+ gets 6GB of RAM while the S9 makes do with 4GB. Storage options, thankfully, are the same across both – 64GB of internal storage on the base models, with 128GB and 256GB variants set to launch in some markets. There’s also a microSD slot that supports up to 400 GB cards; some markets will get a dual SIM variant with a hybrid slot. 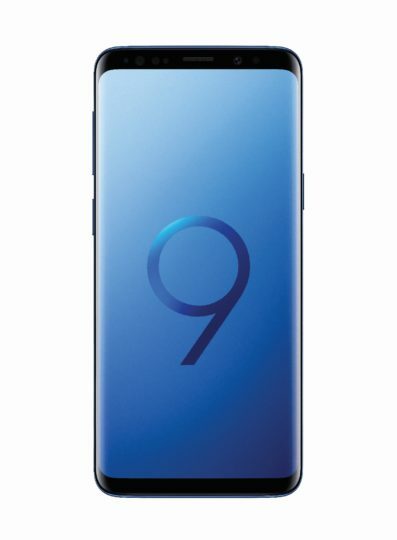 The battery sizes are the same as the S8 and S8+: 3,000 mAh on the S9 and 3,500 mAh on the S9+, with support for Quick Charge 2.0 and fast wireless charging. Unsurprisingly, both handsets are water and dust resistant, thanks to the IP68 certification. 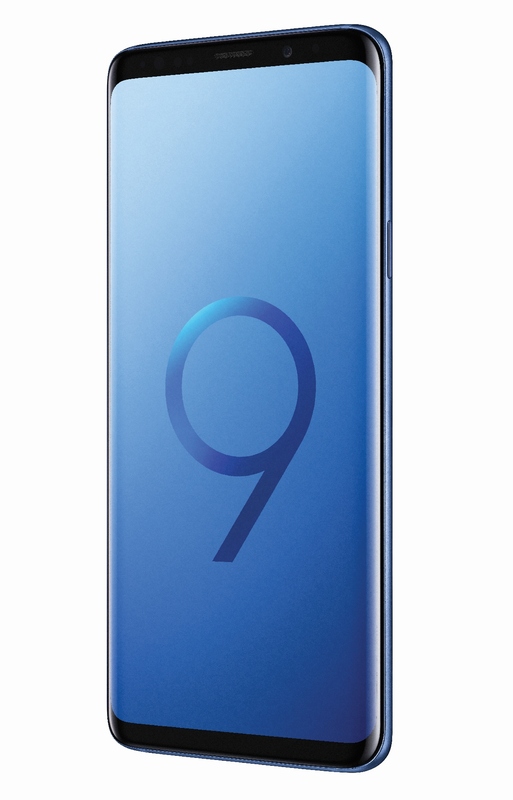 On the software front, the Galaxy S9 and S9+ run Android 8.0 Oreo with the Samsung Experience 9.0 UX. There’s a new feature called Intelligent Scan which combines iris and facial recognition for faster unlocking of the device and quicker verification inside apps like Samsung Pay. A feature called Dedicated Fingerprint will allow users to access Secure Folder with a different fingerprint from the one they use to unlock the device. Naturally, Bixby is onboard and so is the dedicated Bixby key below the volume buttons. And, yes, the Galaxy S9 duo will get at least two major software updates, although it remains to be seen if Samsung will be able to release those updates faster than what we’ve seen with Oreo for the S8 and Note 8. The Galaxy S9 and S9+ will go on sale on March 16 in select markets, in Midnight Black, Titanium Gray, Coral Blue, and Lilac Purple. 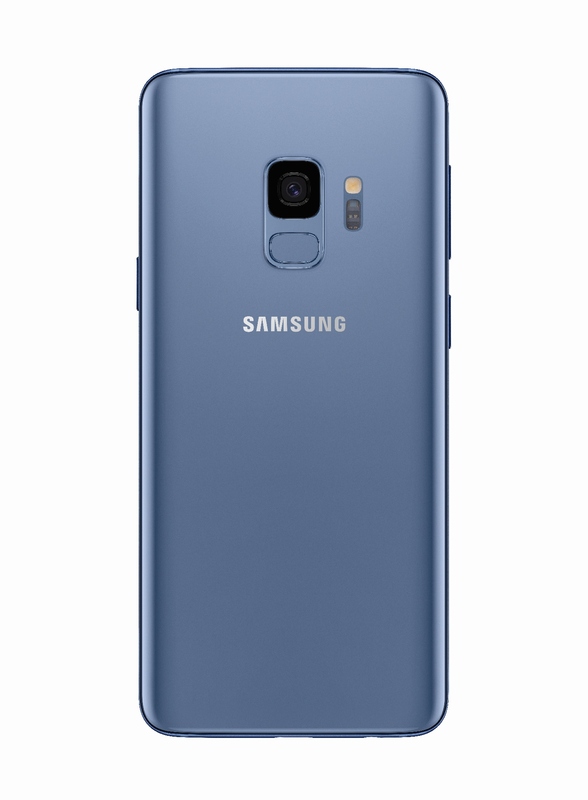 As always, expect the color options to vary by market; Samsung is also likely to release new color variants down the line. Samsung is also launching an upgraded DeX station with the S9 and S9+. The DeX Pad enables the phone to lie horizontally so that users can use the display as a keyboard and touchpad; it will also allow the headphone jack to be used for wired audio, something that isn’t possible with the first-generation DeX dock. 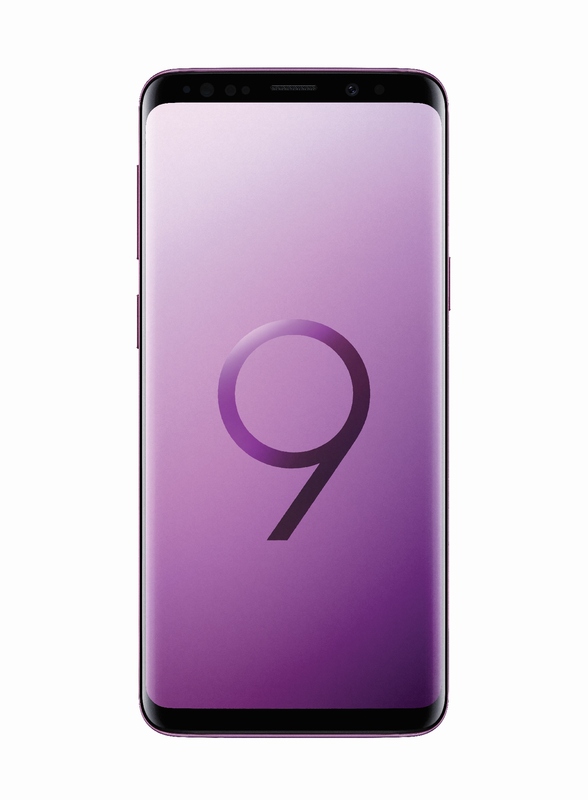 Let us know what you think about the Galaxy S9 and check out our hands-on experience with Samsung’s latest flagships. S9+ ordered! looking forward to it. Since the selfie camera isn’t updated I wonder how much of the ar emoji stuff will come to the note 8.